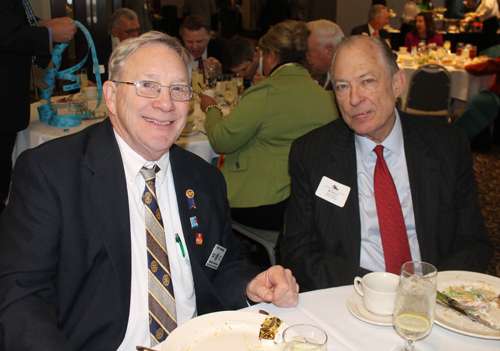 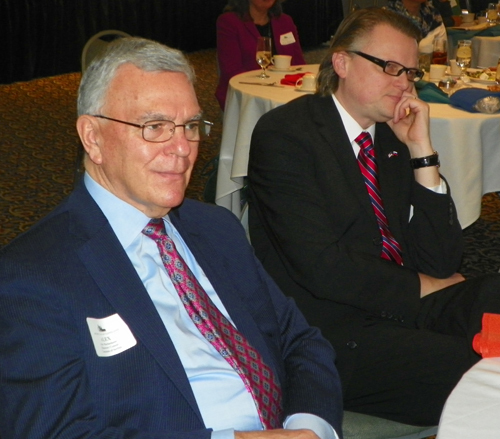 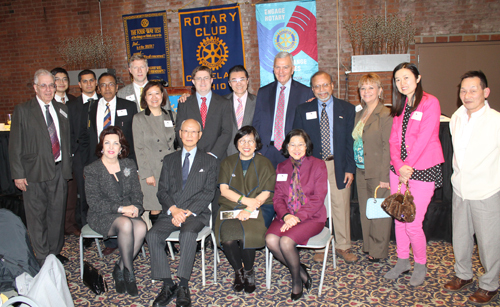 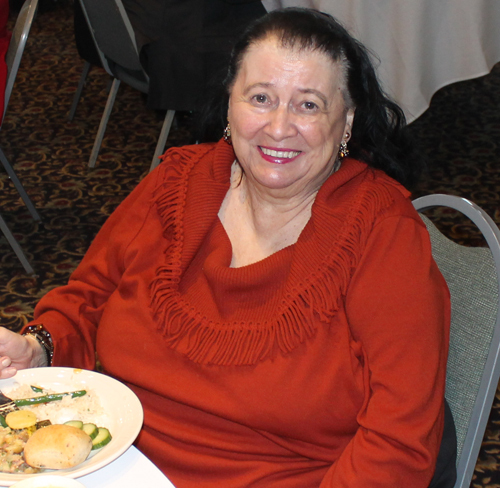 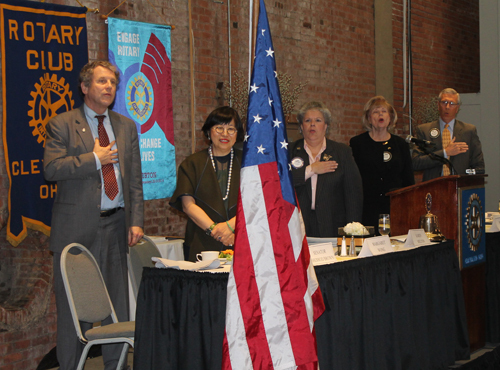 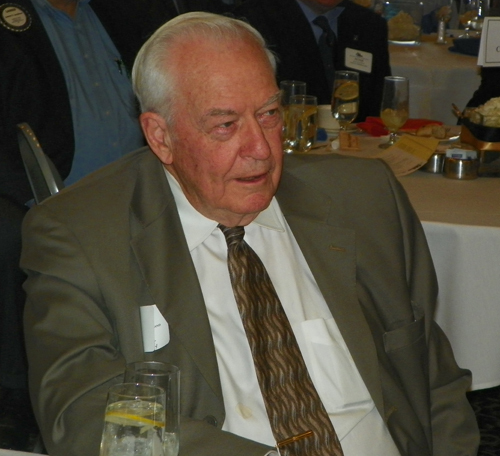 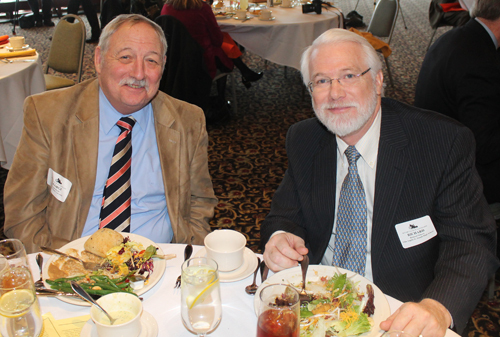 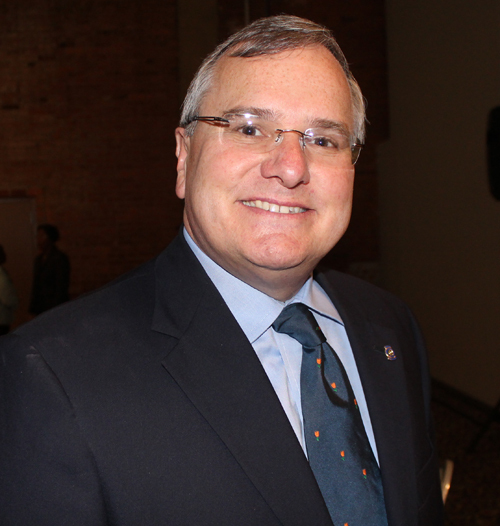 The Rotary Club of Cleveland hosted their annual International Fellowship Day in Cleveland Ohio on February 20, 2014. 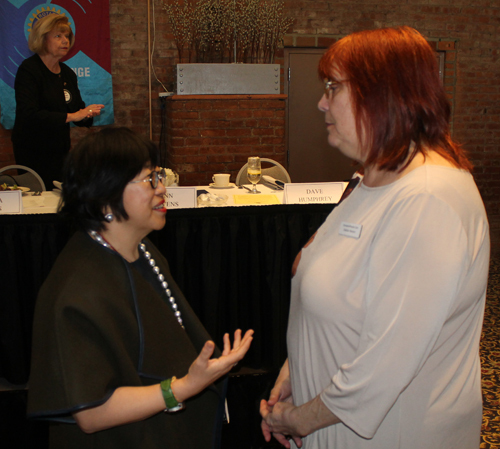 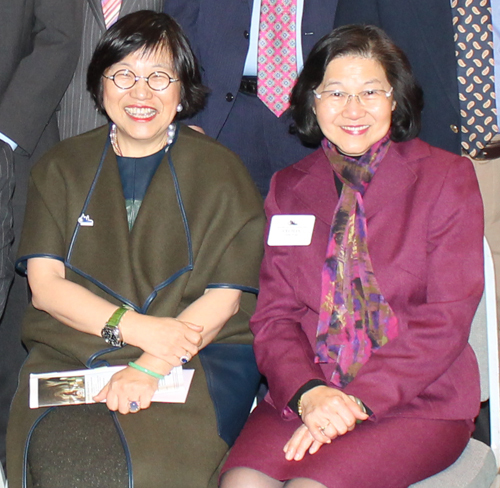 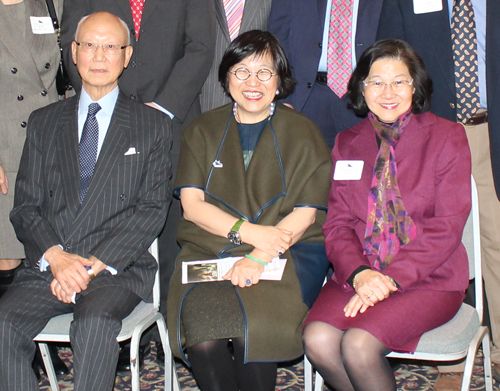 The event featured the presentation of the International Service Award to immigration attorney and author Margaret W. Wong. 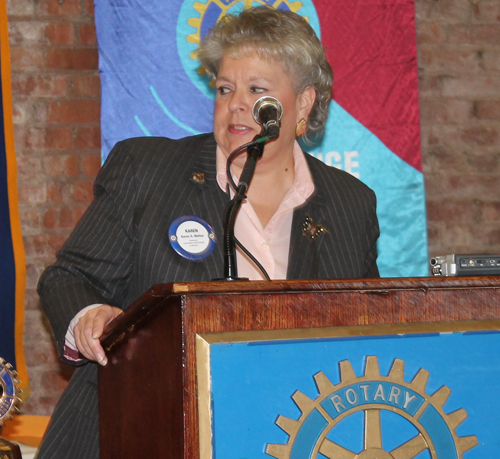 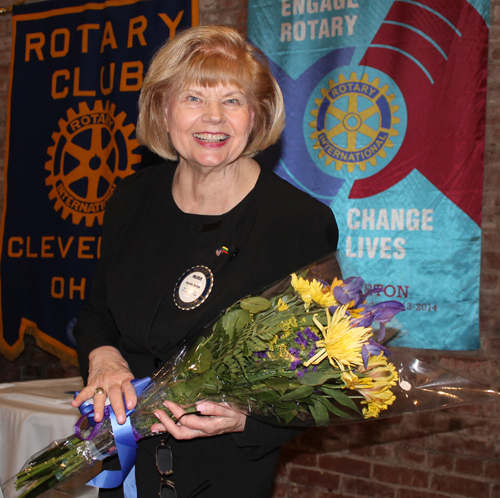 Rotary Club of Cleveland President Karen Melton gave some history of Rotary International (109 years old) and the Cleveland Rotary Club (103 years old). 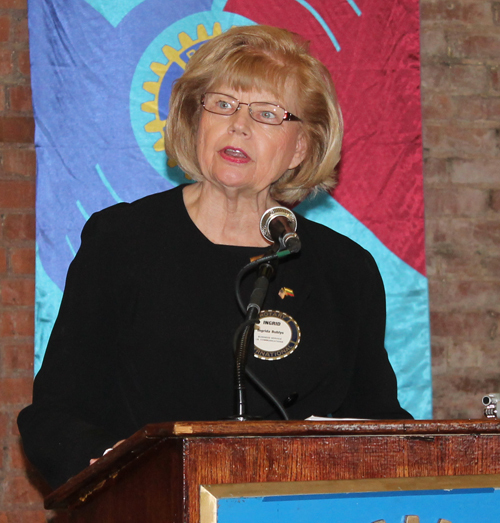 She told of many of the good works of Rotary such as the Global Polio Endemic Initiative which has all but eliminated polio. 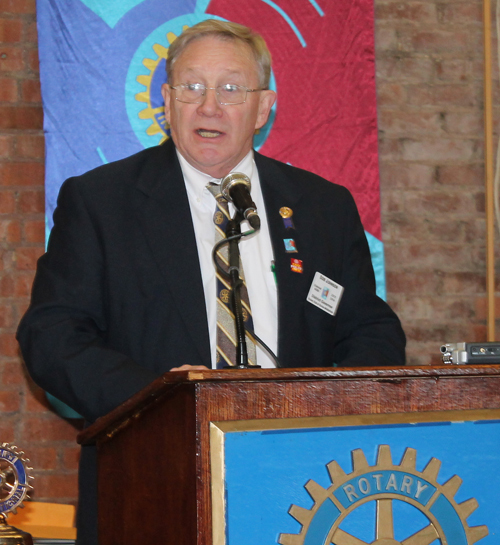 India is now almost polio free. 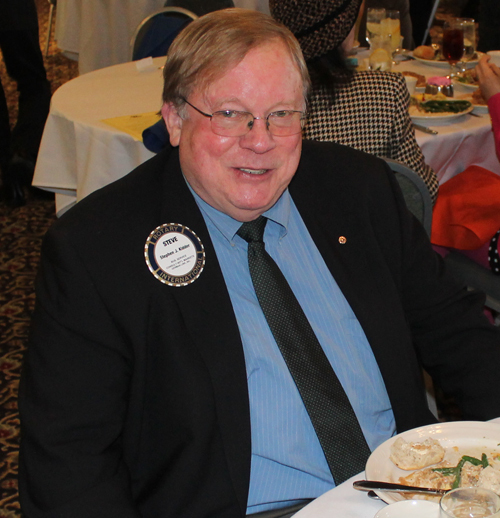 2013/2014 Rotary International District 6630 Governor Bob Johnson represents over 54 clubs in Northeast Ohio and over 2100 Rotarians. 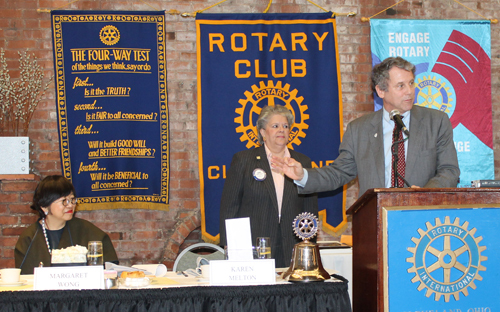 He gave a welcome at the Rotary Club of Cleveland International Fellowship Day on February 20, 2014. 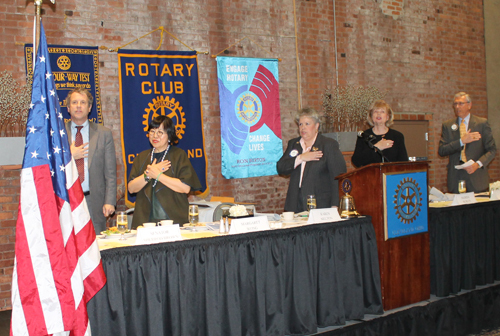 Honorary Consul to the Republic of Lithuania Ingrida Bublys told about the International Service Award of the Rotary Club of Cleveland and mentioned some of the previous distinguished awardees. 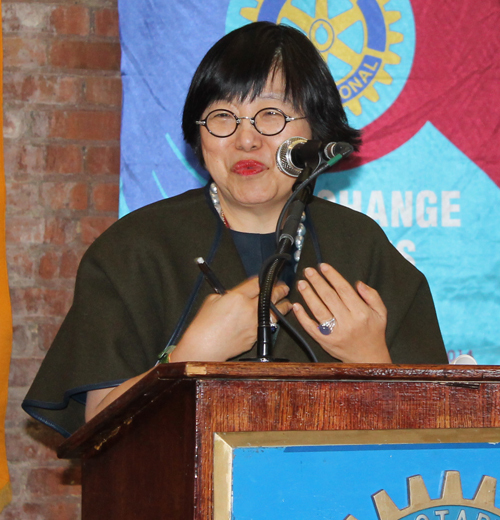 She then announced immigration attorney and author Margaret W. Wong as recipient of the 2014 International Service Award. 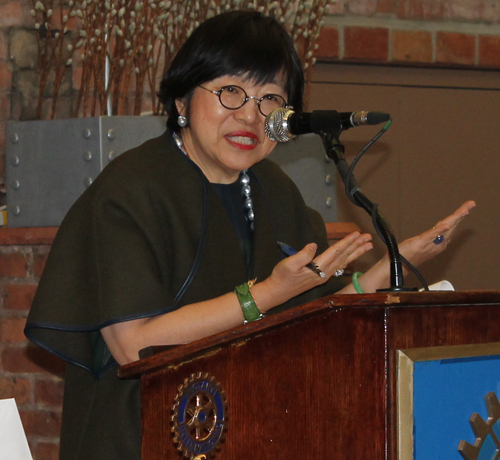 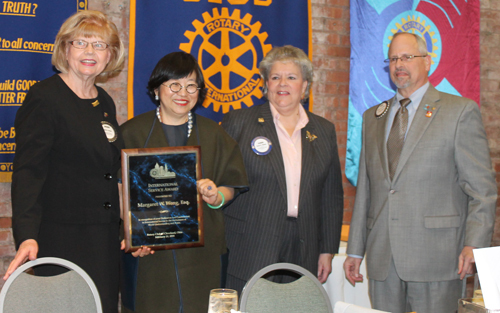 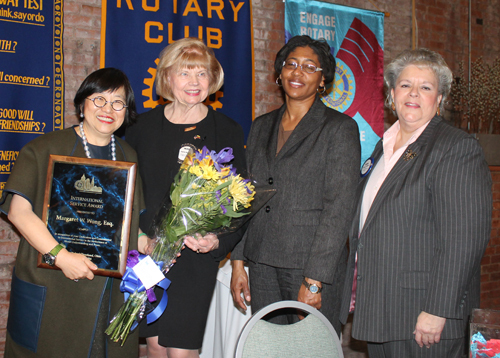 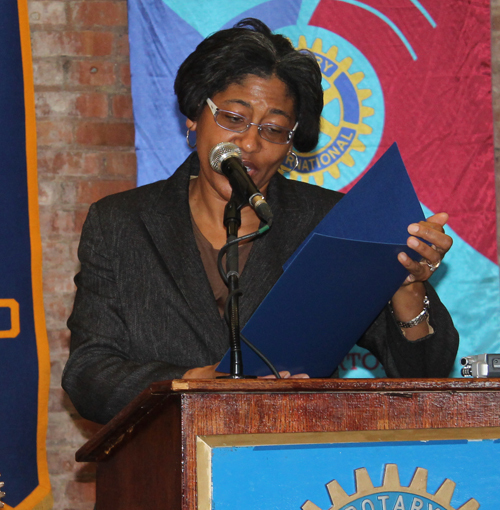 Immigration attorney and author Margaret W. Wong gave her acceptance speech as recipient of the 2014 International Service Award of the Rotary Club of Cleveland. 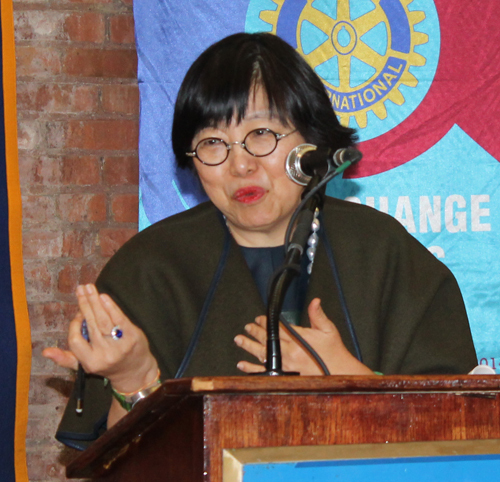 Ms. Wong told of her great desire to come to the United States and the value of Rotary both in the US and internationally. 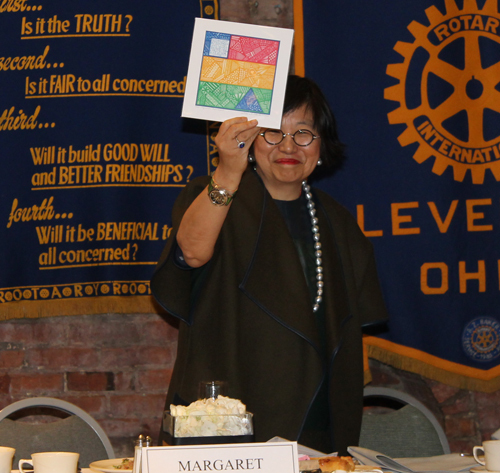 Margaret said that Cleveland needs more people to compete. 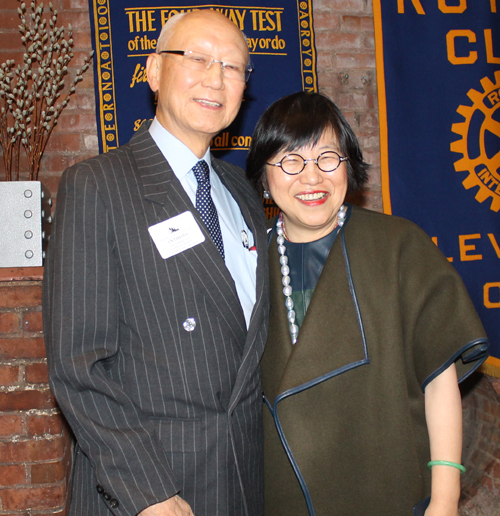 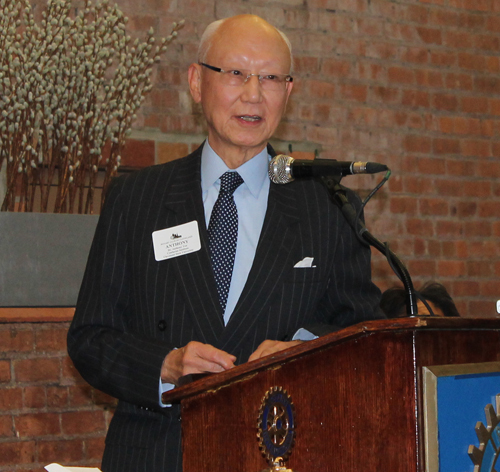 Dr. Anthony Yen from the Confucius Institute at Cleveland State University (and a longtime friend and colleague of Margaret Wong) presented a proclamation to Margaret Wong at the Rotary Club of Cleveland International Fellowship Day on February 20, 2014. 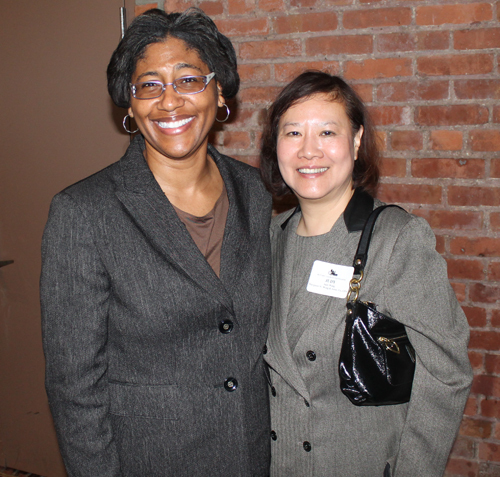 Yen told how with Margaret Wong's help, 36 schools in Cleveland are teaching the Chinese language. 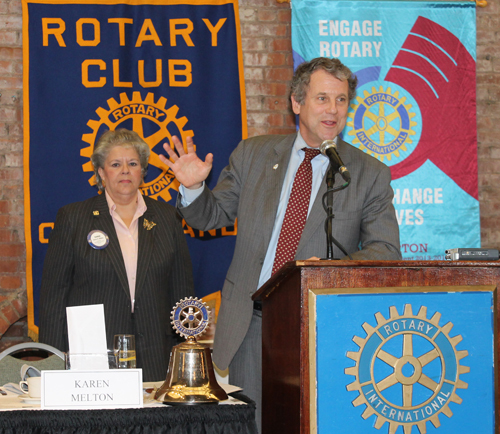 US Senator Sherrod Brown spoke about the eradication of polio and the good works of Rotary International at the Rotary Club of Cleveland International Fellowship Day on February 20, 2014. 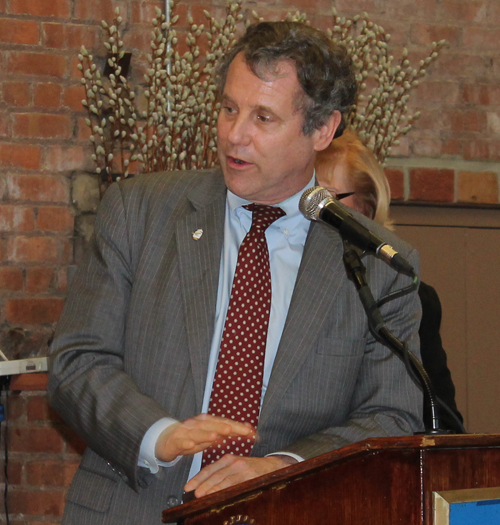 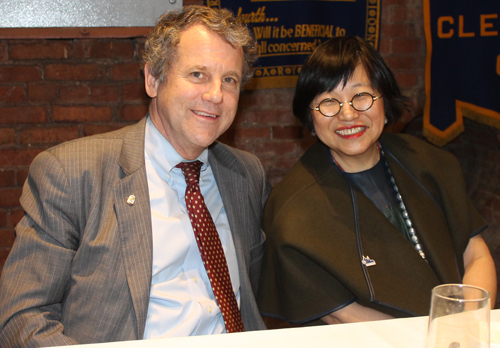 US Senator Sherrod Brown praised honoree Margaret W. Wong. 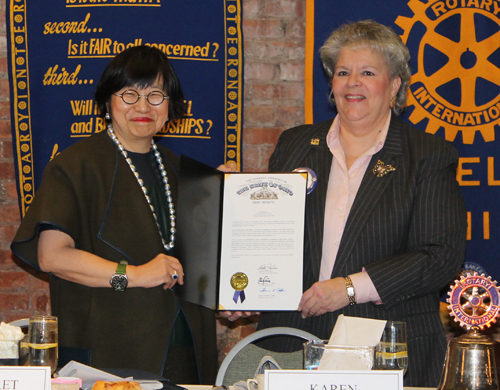 Other proclamations and certificates were presented to Margaret Wong. 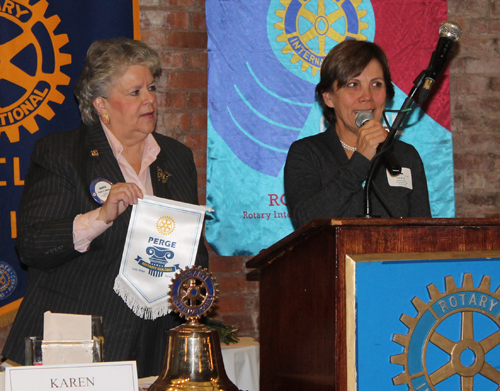 A Rotarian from Turkey attended the Rotary Club of Cleveland meeting on February 20,2014 and presented her club's banner to President Karen Melton. 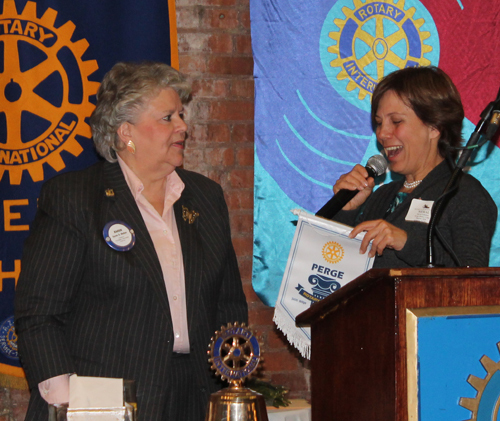 President Melton presented the visitor with a Cleveland Rotary pin. 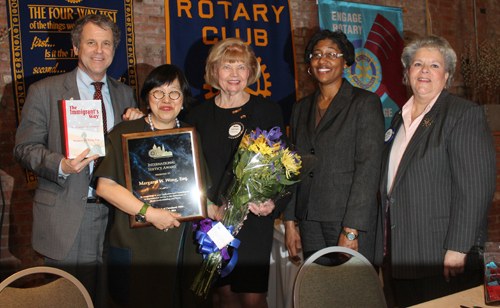 Congratulations to Ingrida Bublys, Richard S. Pollak, Chair, International Service Committee, and all of the Cleveland Rotary for the 2014 International Fellowship Day event and congratulations to Margaret W. Wong for a much-deserved award. 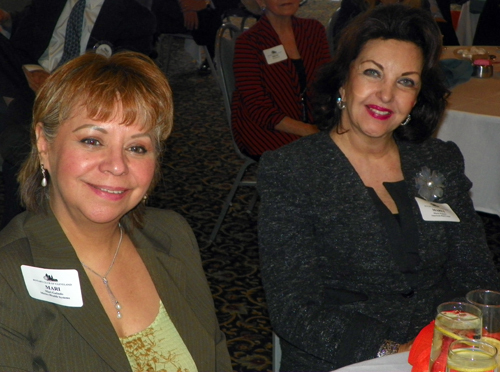 Enjoy these other images from the event.